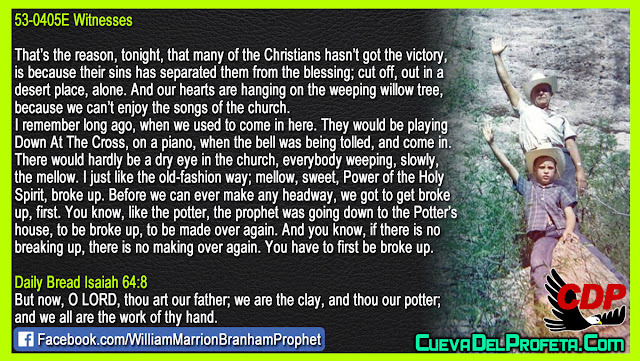 That’s the reason, tonight, that many of the Christians hasn’t got the victory, is because their sins has separated them from the blessing; cut off, out in a desert place, alone. And our hearts are hanging on the weeping willow tree, because we can’t enjoy the songs of the church. I remember long ago, when we used to come in here. They would be playing Down At The Cross, on a piano, when the bell was being tolled, and come in. There would hardly be a dry eye in the church, everybody weeping, slowly, the mellow. 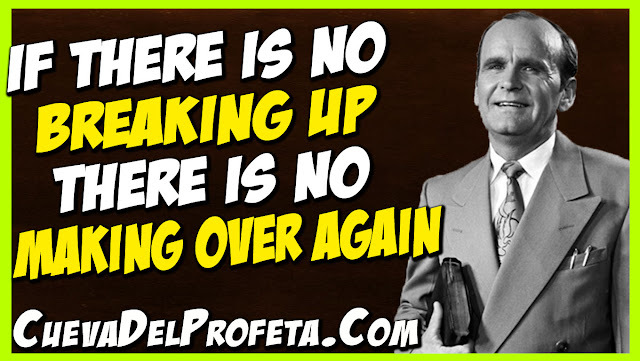 I just like the old-fashion way; mellow, sweet, Power of the Holy Spirit, broke up. Before we can ever make any headway, we got to get broke up, first. You know, like the potter, the prophet was going down to the Potter’s house, to be broke up, to be made over again. And you know, if there is no breaking up, there is no making over again. You have to first be broke up.